Adolescence is a unique period in neurodevelopment. Dextromethorphan (DXM)-containing cough syrups are new addictive drugs used by adolescents and young adults. The effects of chronic DXM abuse on neurodevelopment in adolescents and young adults are still unknown. 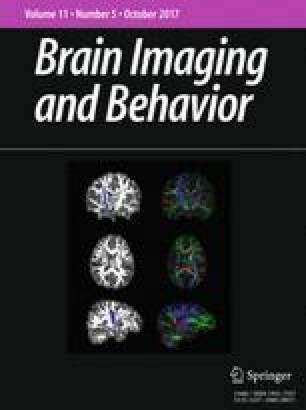 The aim of this study was to investigate the differences in cortical thickness and subcortical gray matter volumes between DXM-dependent adolescents and young adults and healthy controls, and to explore relationships between alternations in cortical thickness/subcortical volume and DXM duration, initial age of DXM use, as well as impulsive behavior in DXM-dependent adolescents and young adults. Thirty-eight DXM-dependent adolescents and young adults and 18 healthy controls underwent magnetic resonance imaging scanning, and cortical thickness across the continuous cortical surface was compared between the groups. Subcortical volumes were compared on a structure-by-structure basis. DXM-dependent adolescents and young adults exhibited significantly increased cortical thickness in the bilateral precuneus (PreC), left dorsal lateral prefrontal cortex (DLPFC. L), left inferior parietal lobe (IPL. L), right precentral gyrus (PreCG. R), right lateral occipital cortex (LOC. R), right inferior temporal cortex (ITC. R), right lateral orbitofrontal cortex (lOFC. R) and right transverse temporal gyrus (TTG. R) (all p < 0.05, multiple comparison corrected) and increased subcortical volumes of the right thalamus and right pallidum. There was a significant correlation between initial age of DXM use and cortical thickness of the DLPFC. L and PreCG. R. A significant correlation was also found between cortical thickness of the DLPFC. L and impulsive behavior in patients. This was the first study to explore relationships between cortical thickness/subcortical volume and impulsive behavior in adolescents dependent on DXM. These structural changes might explain the neurobiological mechanism of impulsive behavior in adolescent DXM users. The online version of this article (doi: 10.1007/s11682-016-9628-0) contains supplementary material, which is available to authorized users. This work was supported by grants from the Natural Scientific Foundation of China (Grant No. 81201084, 81560283), and the Natural Scientific Foundation of Jiangxi Province, China (Grant No. 20151BAB205049). We thank LetPub (www.letpub.com) for its linguistic assistance during the preparation of this manuscript. The authors report no financial interests or potential conflicts of interest. All procedures followed were in accordance with the ethical standards of the responsible committee on human experimentation (institutional and national) and with the Helsinki Declaration of 1975, and the applicable revisions at the time of the investigation.